Complete and submit your accounts to HMRC and Companies House (where appropriate). Help reduce your tax bill. 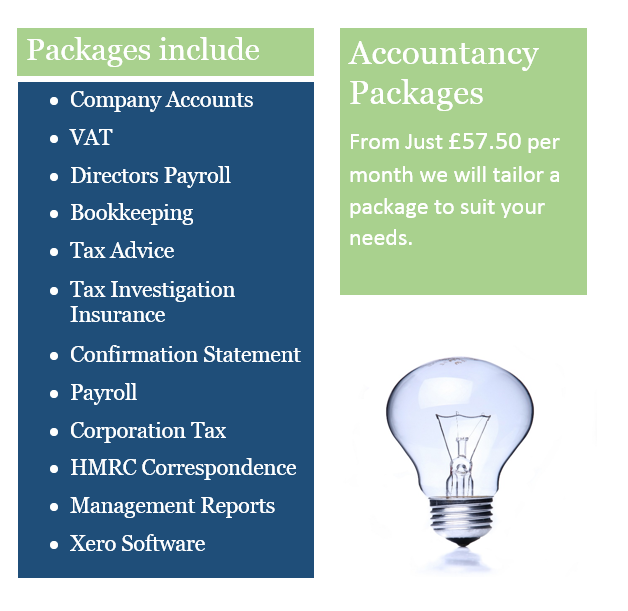 Save you money on your current accountancy services. Quickly and efficiently get any monies due back to you. File your accounts with HMRC. Send out reminders so you avoid penalties. We operate nationwide and specialise in small and medium sized businesses.Why use The Right Accountants for your Company Accounts? We currently represent over 100 businesses throughout the UK. Our friendly staff have a wealth of experience and qualifications from the major accountancy and tax associations such as ACCA, AAT, ICAEW. We believe we have the most competitive fees on the market, such as our packages above. You pay monthly to spread the cost of your accountancy fees. You will receive unlimited help and assistance throughout the year from your dedicated accountant and the rest of our team.